Bottom Feeder Motorsports is proud to share the news the Crushstation and Lumberjack will both be featured in an all new monster truck DVD from our friends at Monster Truck Throwdown in their all new film titled Joyride! Following the success of 2014’s Throw Down For What? the Monster Truck Throwdown media crew have put together their highly anticipated follow up showcasing some of the sports top trucks at huge events across North America and in some unique environments, taking monster trucks to places they’ve never been before. One feature includes a visit by the Lumberjack monster truck to the woods in Maine as the truck tears through the forest showing what it can do and why it’s known as the Lumberjack. You’ll also see Crushstation’s epic racing win at Soaring Eagle Casino and Resort along with other performances by the team in places like Wisconsin, Ohio and North Carolina. Check out the official Joyride trailer below to see what to expect from this awesome monster truck DVD. If you’re interested in picking up your copy of Joyride be sure to visit Monster Truck Throwdown’s online store and place your pre-order now. All orders will ship November 26th with plenty of time before the holiday season to satisfy your monster truck fans wishlist. While you’re at it be sure to stop by our merchandise store to stock up on your Crushstation and Lumberjack merchandise before the holiday season and first quarter of 2017. We’ll be looking forward to hitting the track once again this winter after some much needed downtime and maintenance to the trucks. Make sure you follow us on social media for even more on the Bottom Feeder Motorsports team. 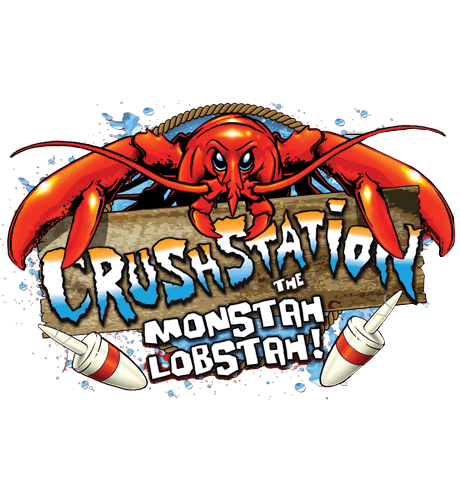 Like us on Facebook here and follow us on Instagram by following @crushstation.